Over the next month, we'll be featuring some of our favorite catering events from last season. 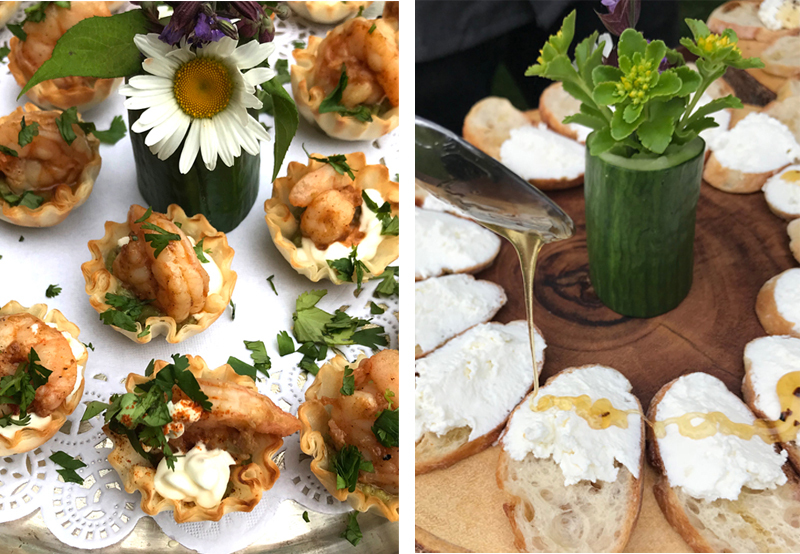 The Winnakee Land Trust Gala in June was an especially festive affair, and of course the menu for the evening was a smashing success. See some of the highlights in this post. 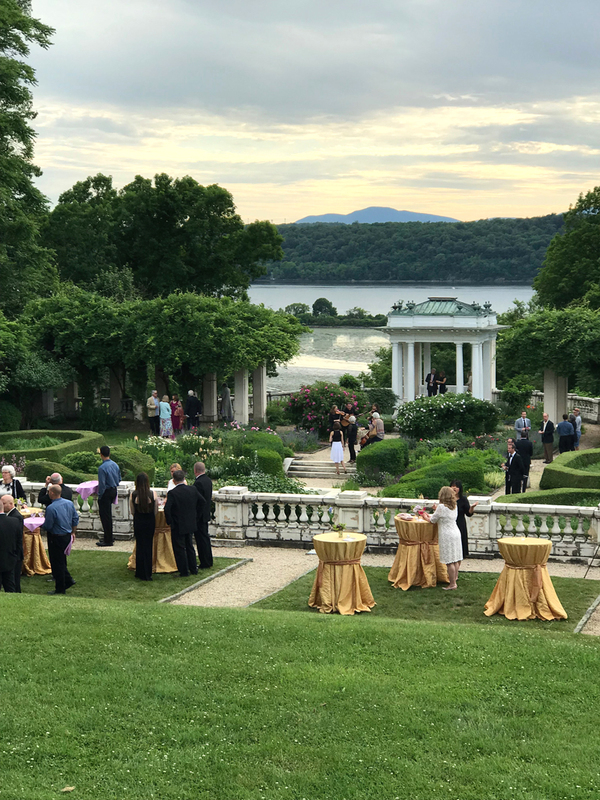 This was a banner year for our catering company as we kicked off the summer with this elegant affair at Blithewood Gardens overlooking the Hudson River at Bard College. We were honored to be invited to cater the annual gala for the Winnakee Land Trust, which is committed to protect and preserve the natural, agricultural, recreational, architectural, cultural, scenic, historic, and open space resources of northern Dutchess County. We were grateful that the weather held up, as rain was predicted and everyone wanted to be able to enjoy the spectacular views of the Hudson and Catskill Mountains to the west. The evening began with a cocktail hour in the formal walled gardens created in 1903 and carefully tended by a team of gardeners. The guests sampled a host of delicious finger foods which included: Tequila lime shrimp, Tuna tartare on cucumber rounds, Local ricotta and truffle honey bruschetta, House made crab cakes with Old Bay tartar sauce, Vegetable dumplings with sweet and sour dipping sauce, and Pulled pork on sweet potato chip with jalapeño aioli. 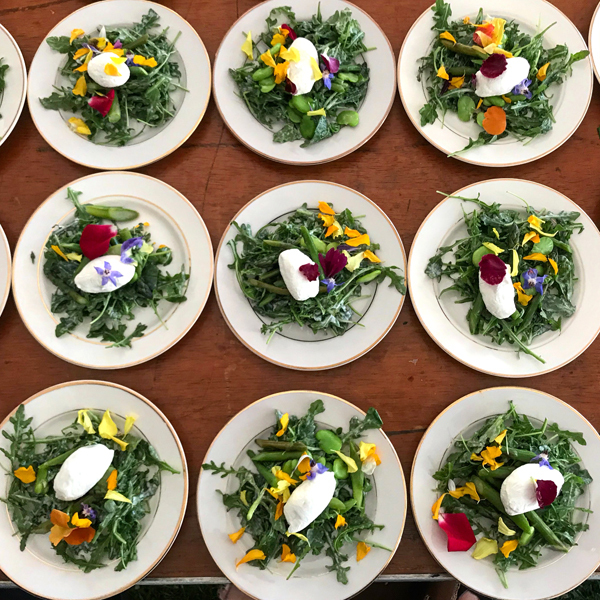 As the evening moved along, we had to hussle the guests off to their seats under the tent for a plated Spring Salad with asparagus, fava beans, and arugula, with sherry vinaigrette and a quenelle of goat cheese. 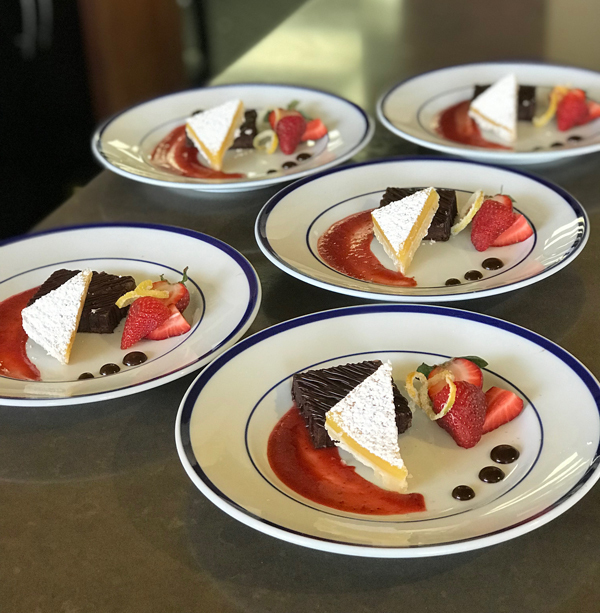 Last but not least, the dessert we chose was sure to please everyone: Flourless chocolate torte, lemon tartlet, fresh strawberry sauce and strawberries. A beautiful night was had by all, and our hats off to the Winnakee Land Trust for all their efforts to help keep the Hudson Valley the beautiful spot we all cherish.